According to BlackKite over at the Koei Warriors forum, one of the regular sources of information leaks has revealed some news from this Thursday's issue of Weekly Famitsu magazine. 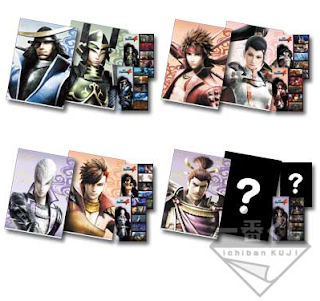 The magazine allegedly includes confirmation that Motonari (of course), Yoshihiro and Yoshiaki will be participating in Sengoku Basara 4 while Kenshin and Kasuga will be non-playable enemy commanders. That's disappointing, but I'm glad they've finally announced it at last. There will be more than forty stages in the game, and there's some information about the audio 'play books' you can set to pick background music and dialogue. I'll translate the full article on Wednesday night when I have a way to get hold of it, as usual. 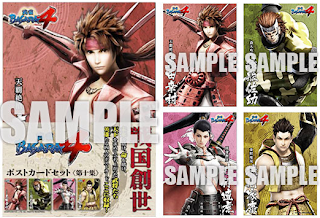 Capcom's Hagi-Toko online gaming show broadcast a new episode on Monday which included a considerable amount of Sengoku Basara 4 footage. It seems that the main goal was to introduce the series to newcomers and the team chose to run through Ii Naotora's stage with Shibata Katsuie (the same combination we saw in some TGS footage before). It was just the usual TGS 2013 demo we've seen dozens of times, but the Nico Nico picture quality was quite good so I could finally appreciate Katsuie's iridescent armour reflecting the light as he moved. Because the commentary was being done by experienced gamers, I found it quite interesting (and funny). They also made Katsuie seem very quick and effective rather than stiff, which is how he seemed in some of the amateur demonstrations from TGS. I'm looking forward to playing as him much more than I was before. We also got to see the scale of the Hyakka Ryouran Tamatebako special edition, since the staff did a full unboxing live on camera, discussing every single item in loving detail. I'm not sure I'd seen the other sample page from the books before. 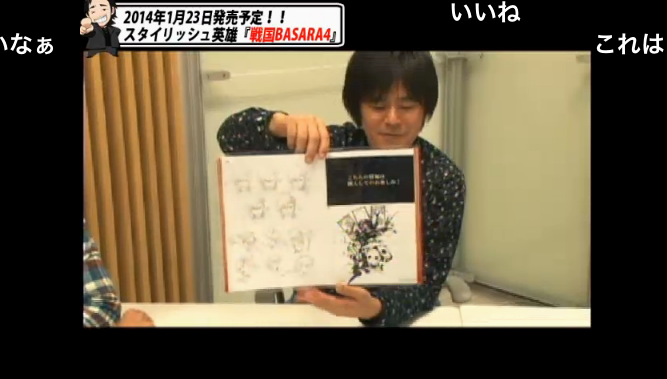 We'll get 'clean' versions of the Basara-e ink artwork for each character as well as some more design sketches. The tenth official Sengoku Basara postcard collection will be released on 21st December 2013 costing ¥525. It's almost as though it was put together by Shingen. *can't help but calling Hisahide by his last name. But both Ujimasa and Muneshige have magnificent theme songs so they have to be included! Well, I totally expected Ujimasa's demotion to NPC but not to have him at all is kinda frightening perspective (I just like the old guy). All non playable SB-veterans (aside from unannounced Ujimasa) who had low profiles in SB3 and returned to Utage without a glimpse of a storyline goes NPC again in SB4 so it's no wonder. Same goes for Utage characters that got their tiny storylines in that game (most are in and being playable in SB4 as well) so I'd say it's safe to predict Muneshige's appearance (Sourin being alone is just not that funny). If they indeed count Tenkai and Mitsuhide separately, then 4 vacant slots for PC, while NPC is done with Kasuga and Kenshin announcement. 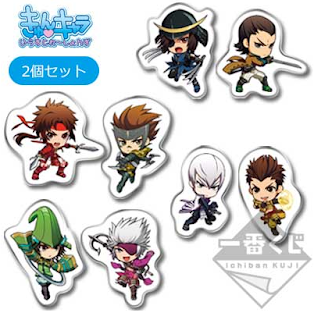 And Sorin & Hisahide (c'mon you cannot have Yoshiteru here without his nemesis) are pretty much confirmed, so we have only 2 seats left. If they finish all of the character announcements this month as promised, they will have a couple of weeks left over to surprise us with some weird things, so it's certainly possible we'll get some kind of area warlord system again. It hasn't been hinted at all though, so it's hard to say. I hope there are more little clues about the game in the screenshots in the full magazines this week. At last! I'm really happy for Yoshihiro , since he's my main character, thanks for all these update. I'm sad for Kenshin and kasuga, they are not my main characters but they have a nice gameplay and a nice storyline. I still do not understand why they make some playable characters with lame gameplay and specially lame storyline (maybe funny, but still...) such as hideyaki and yoshiaki but toss aside some awesome characters with a great background, storyline and gameplay (Shingen, the maeda couple and the Uesugi couple (hehe). 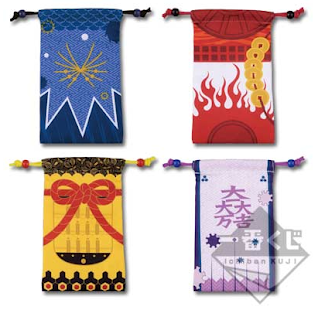 They could even add some interesting content with the Hojo clan since it was a major clan during the sengoku era. Sure, i am really happy with Yoshihiro, yet i still have 1 more wish : Muneshige. So my ''thunderous killing machine'' trio will be complete (Shimazu, Honda, Tachibana). 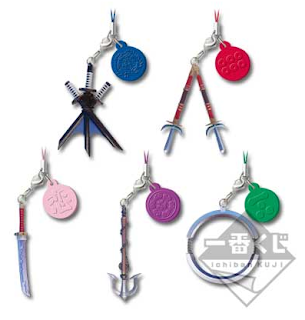 I think it's simply that they already developed Hideaki and Yoshiaki with full movesets and weapons so it's easier for them to include them than the older unfinished characters, and even if they are both a little annoying they have some interesting links between other characters which might be useful in the story. I like them both (though I seem to be in the minority when it comes to Kingo!) 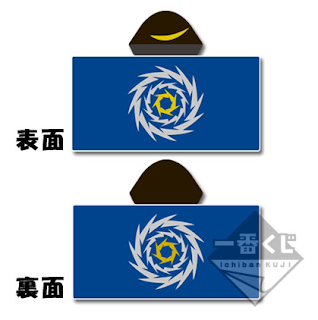 so I'm happy overall, though it's rather disappointing about the Uesugi pair. They deserve a chance to be finished so they can return as full cast members again. I personally think that Muneshige will be safe. Just two weeks left until we find out, hopefully! Is it possible if you could please post a link to the video of the unboxing ? Someone temporarily uploaded a low quality recording of that part of the episode to Nico Nico Douga, but you may need to make a free account http://www.nicovideo.jp/watch/sm22379675. Hope that helps! 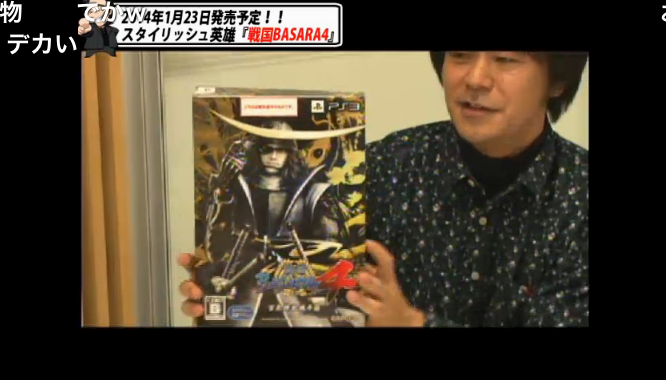 The unboxing is after the long playthrough they do first.